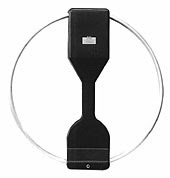 Today I have ordered a MFJ-1788 15-40 Meters Super Hi-Q Loop Antenna directly from MFJ Enterprises in the US. I've read a lot of positive reviews of this antenna and I'm looking forward to test it. The reason why I want to go for a magnetic Loop is that I live in a row house where I can't have any outside antennas. I also have a lot of noise and I hope the loop will be able to cancel at least some of it. Fingers crossed!